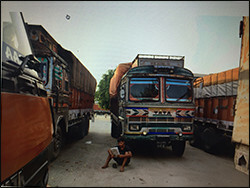 Deepak Yadav, an Indian transport worker waiting among the trucks parked near the India/Nepal border. 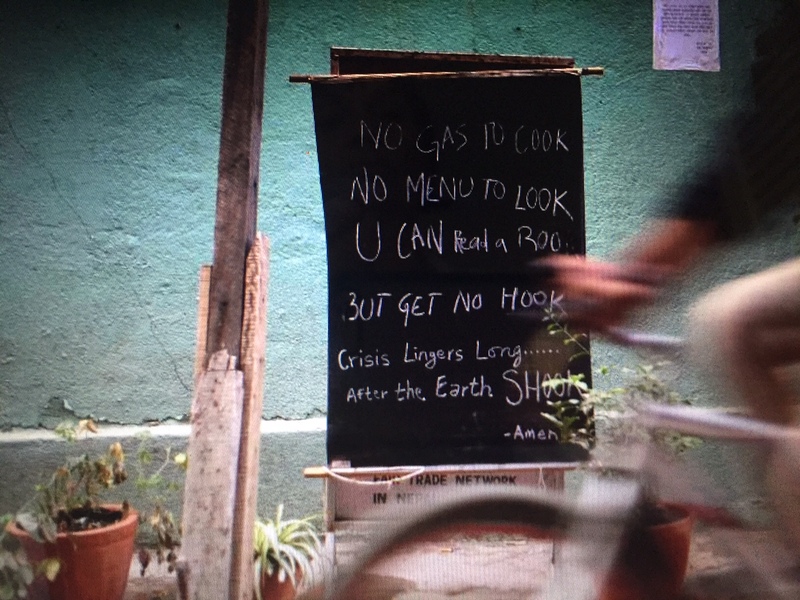 October 29, 2015 It has been six months since a 7.8 magnitude earthquake shook Nepal. While there is much still to be done, I have confidence and admiration for the Nepalese working to rebuild their own communities. There are extraordinary individuals that have been working tirelessly for months - often without pay or sleep - to help others who were affected by Nepal’s recent earthquakes. The road to recovery has been difficult, but your donations have made it easier for people to move on with their lives. Thank you. As Nepal tries to rebuild, a new crisis has emerged in the last few weeks. India has imposed an unofficial blockade with India’s Border Security Force ordered to search every single truck making its way to Nepal. The border crossings are the lifeblood of the landlocked country, and Nepal depends on India for all of its petroleum products. Whether you're going to buy medicine, or an iron roof sheet to repair your house or some noodles, it's pretty scarce across the board." Restaurant sign in front of small restaurant. This has resulted in hundreds of vehicles pulling up to the border, waiting for tedious and inefficient searches. More damning than the flow of consumer goods and foodstuffs is India’s refusal to release Nepal Tankers, resulting in an extremely serious fuel shortage. The Nepali government has restricted the use of fuel for private vehicles, citing the need to save fuel for emergency vehicles. This comes at a particularly critical time as charitable organizations are trying to get supplies where they are needed before remote communities are cut off by snowfall and people begin to experience the difficulties of winter. Please keep Nepal and its people in your prayers. With determination in his eyes, he assures me that things will get better. "We will get back up - Nepali people are strong and resilient."